This past weekend we had a chance to visit one of our favorite wedding reception venues. 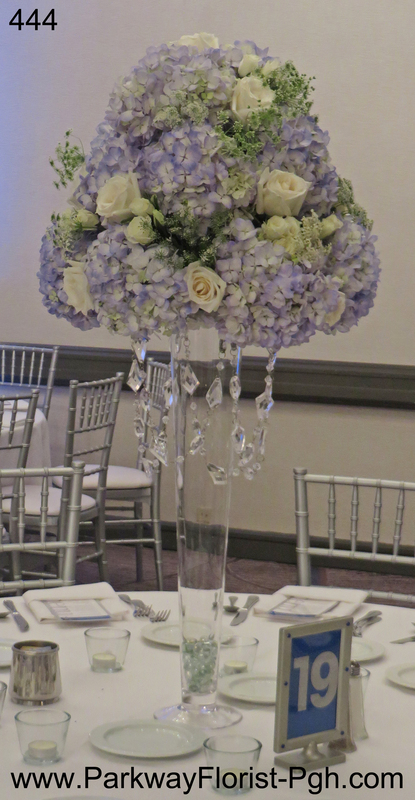 The centerpieces we created gave the room a sophisticated feel, as half the centerpieces were elevated on trumpet risers and half were in table level vases. The elevated centerpiece was adorned with dripping crystal strands which hung from the arrangement of tinted hydrangeas, creamy ivory roses, and queen anne’s lace. 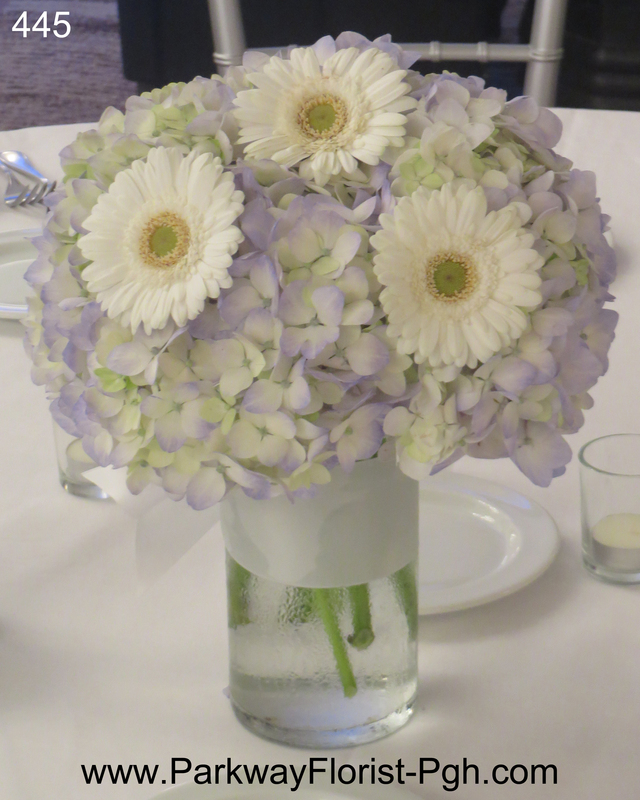 In the table level centerpiece, the same beautiful hydrangeas were utilized and were accented by white gerbera daisies. The vase was tied with a white satin ribbon tie. To finish off this classic look, the bride and groom opted for matching flowers on the cake. As you can see, fabulous sparkly linens were selected for the cake table and sweetheart table. For more flower ideas, be sure to check out our photo galleries located in the menu bar above. This entry was posted on August 11, 2016, in Weddings - 2016. Bookmark the permalink. ← What Can Blue Do For You?